The timing of Olympus' Pen E-P1 launch wasn't a coincidence. It's 50 years since Olympus launched the original Pen, a revolutionary 'half-frame' camera that was eventually developed into an SLR with a 'porro-finder' rather than a conventional pentaprism, a design which resurfaced in the Olympus E-300 and E-330. There's another non-coincidence here, too – the original Pen was a half-frame format (half a 35mm frame), and the Four Thirds/Micro Four Thirds format is half-frame too. 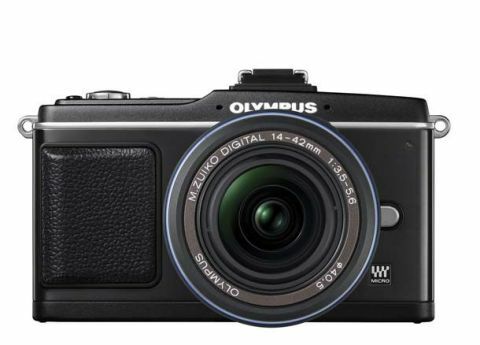 Olympus cameras have quite a heritage, and the company exploited it to the full in the design of the PEN E-P1, its first Micro Four Thirds camera. The styling echoes the old chrome-and-leather look of the original Pen cameras, but the technology inside is pure 21st century. Since the PEN E-P1 came out, Olympus has fleshed out the PEN range with both the PEN E-P2 and the more affordable PEN E-PL1.